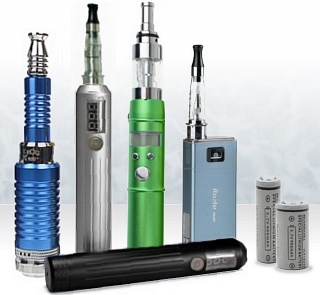 If you've been vaping for any length of time you've undoubtedly heard the term "mod" used by fellow vapers. As you probably guessed, mod is short for modification. Although "mod" was originally used to describe modified homemade devices, these days a variety of companies are producing professionally developed e-cigarette mods - also referred to as advanced personal vaporizers (AVPs). Plenty of people still build their own custom-made devices, but for the sake of this article I'll be discussing the commercially produced products offered by many electronic cigarette companies, suppliers and vape shops. E-cig mods were originally developed by creative do-it-yourselfers who were looking for an alternative to the basic, cigarette-like devices that were prevalent in the early days. At the time, commercially produced electronic cigarettes left a lot to be desired, especially in the performance department. "Modders" started using larger replaceable batteries that were more powerful and longer lasting, drastically improving the user experience. Advanced Personal Vaporizers (AVPs) - AVPs take a basic electronic cigarette (or personal vaporizer) to the next level. An AVP controls power output through varying levels of electronics. Some of the most basic setups allow users to select from several fixed voltage settings. 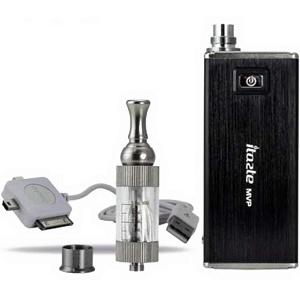 The most advanced devices allow users to select exact voltage and wattage settings, display battery levels and even adjust automatically to the resistance of an atomizer. Mechanical Mods - Mechanical mods deliver electricity to a heating element, but otherwise there are no other electrical components in this type of device. Switches are mechanical and they normally lack voltage regulators and lights. Purists often use mechanical mods with rebuildable atomizers and low resistance coils, but they're not recommended for novices since they require an in-depth understanding of electrical principals to be operated safely. 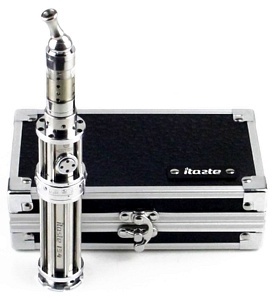 Both types of e-cigarette mod come in various shapes, configurations and sizes. The two most common styles are tubes (ie: tube mods) and boxes (ie: box mods). Is An E-Cig Mod Right For Me? If you have a basic understanding of e-cig operation and hardware, a mod is a logical step forward if you're looking for more flexibility and higher levels of performance. The list of e-cigarette mods is endless, so be sure to do your research. If you don't have a friend who can help you out, look for a local vape shop in your area. Online communities such as ECF and ECR can also be extremely helpful, so don't hesitate to ask questions. If you're new to the world of vaping there's no need to venture into complicated e-cigarette mods. For one thing, mods can be expensive and extremely complex. Before you can appreciate the intricacies of these devices, you need to understand the basics. Start off with something simple like a cigarette-like mini; or better yet, a mid-size Ego device. An Ego is easy to use and will keep you satisfied until you're ready to move to the next step. Build some knowledge and fine-tune your preferences until a mod makes sense. Electronic cigarette mods can take your vaping to the next level, but they're definitely not for everyone. If you don't feel the need to complicate things and are happy with current device, STICK WITH IT! The most important part is that you're not using tobacco, so if you're fully satisfied and have successfully quit smoking, keep up the good work!